This weekend I tackled a major household project…making it through my stack of magazines. I won’t divulge the real number of mags in the stack (I actually don’t know), but let’s just say that the only pile left is Vogue and I’m looking at about five of the last six months. Making my way through an old Fortune mag I picked up on a biz trip (because I’m fancy like that and read grown up mags), I came across some notes that I took throughout the magazine’s “The Best Advice I ever Got” issue. 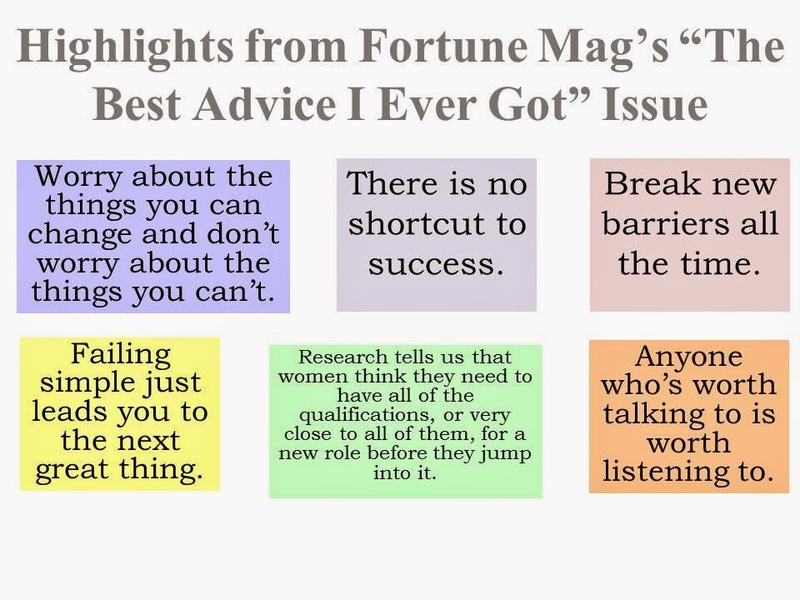 I circled and stared some wise words from business peeps, so I thought I would share those with you!